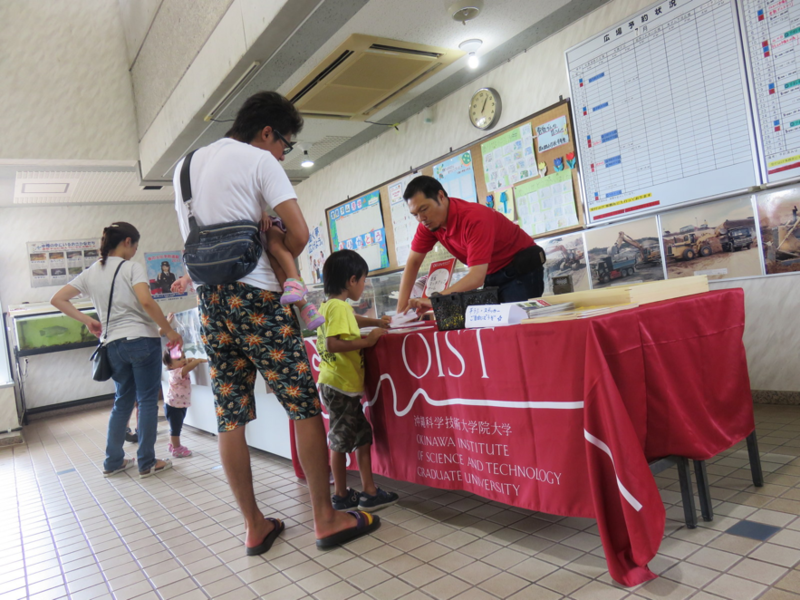 Over this past summer, we took part in various events where our field sites are setup across Okinawa. The Kurashiki Dam summer festival was held on August 6. 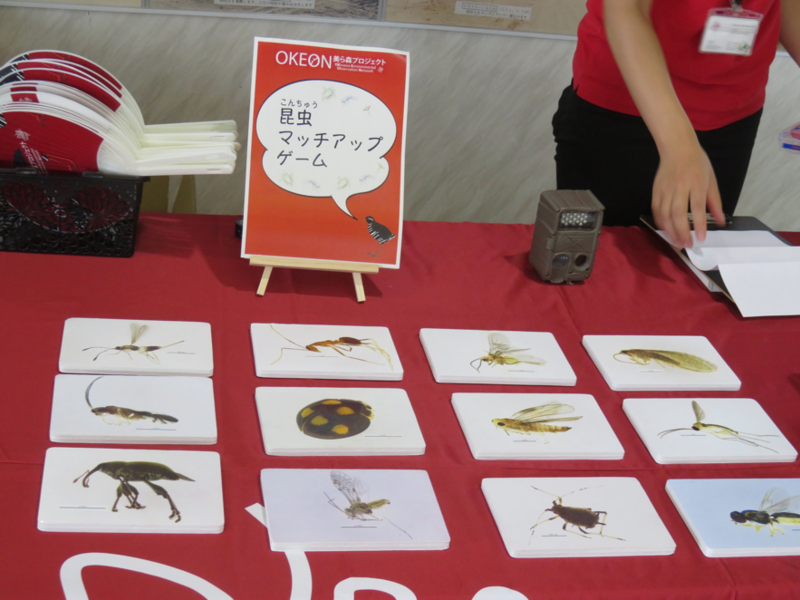 We set up a OKEON booth displaying devices we use for field surveys and specimens from insect collections, and there was also a hands-on exhibition.During the festival opening, many kids and families visited the OKEON booth and enjoyed it very much. 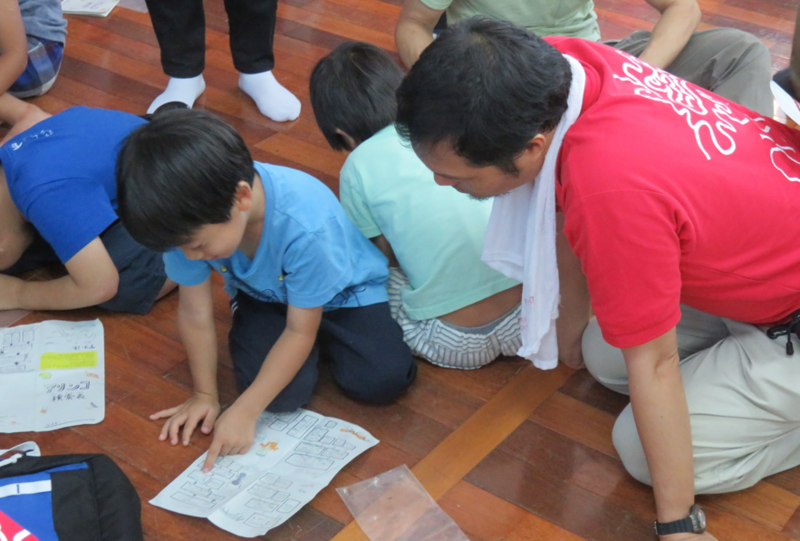 Our original hands-on exhibition, “Insect pairing game”, is a card game where participants are asked to make pairs from cards that are of the same insect group. The “insect paring game” is too difficult even for adults. Some of the kids were able to match up all the cards after many rounds of practice. 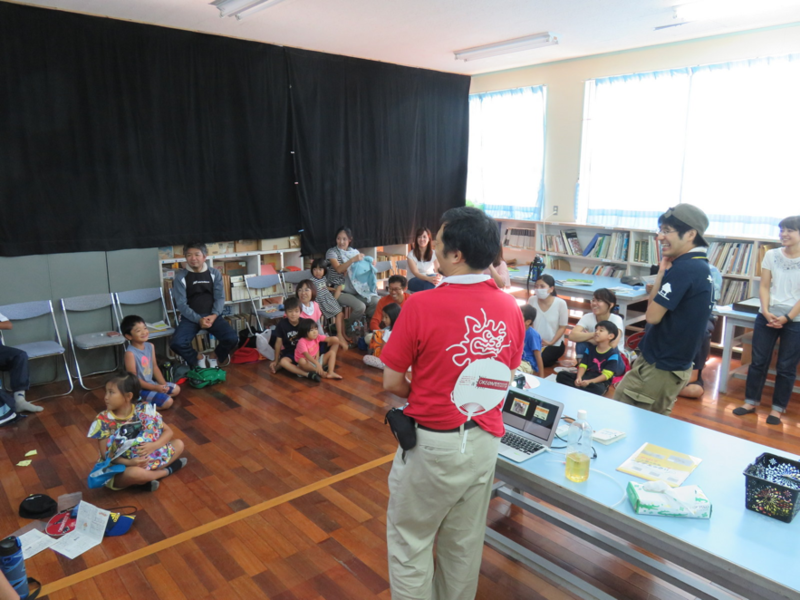 On August 20, we visited the Nakagusuku Park to hold cultural lecture, “Secrets of Ants”, in a meeting room of the park. There were over 30 participants. 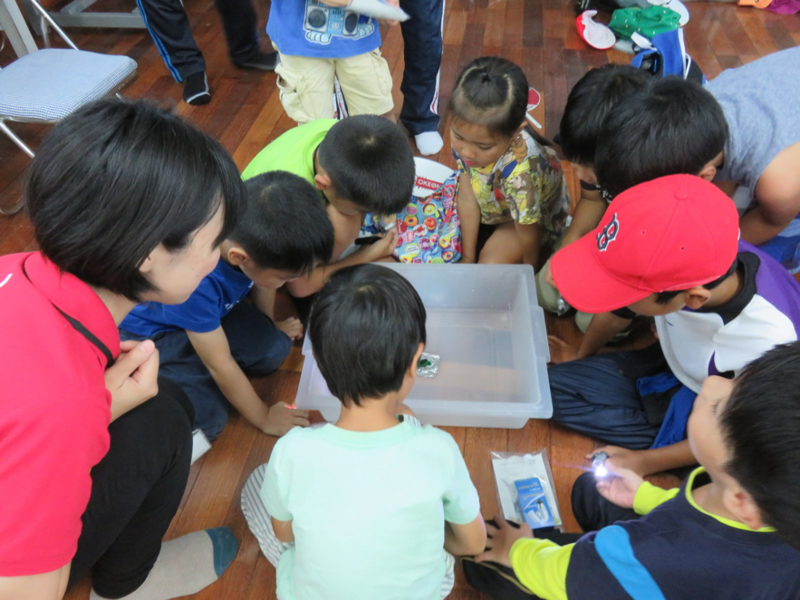 The lecture included various scientific experiments, such as of observing ant behavior and identifying ant species by using a taxonomic key. Some kids could identify the ant species on sight without using a taxonomic key. That’s amazing! On August 26, We went to what was the former Genka Elementary School in Nago City up north. 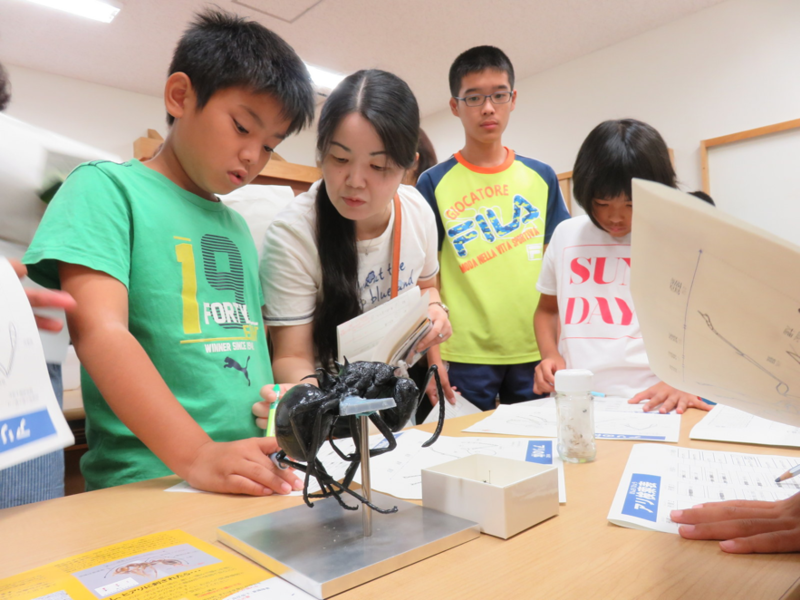 As one of the “Nature Adventure Group for Kids” series, sponsored by the Nago Museum, we were in charge of the “Discovering Ants Challenge”. I enjoyed learning and conducting experiments related to ants. We went outside and started looking for ants on the ground. 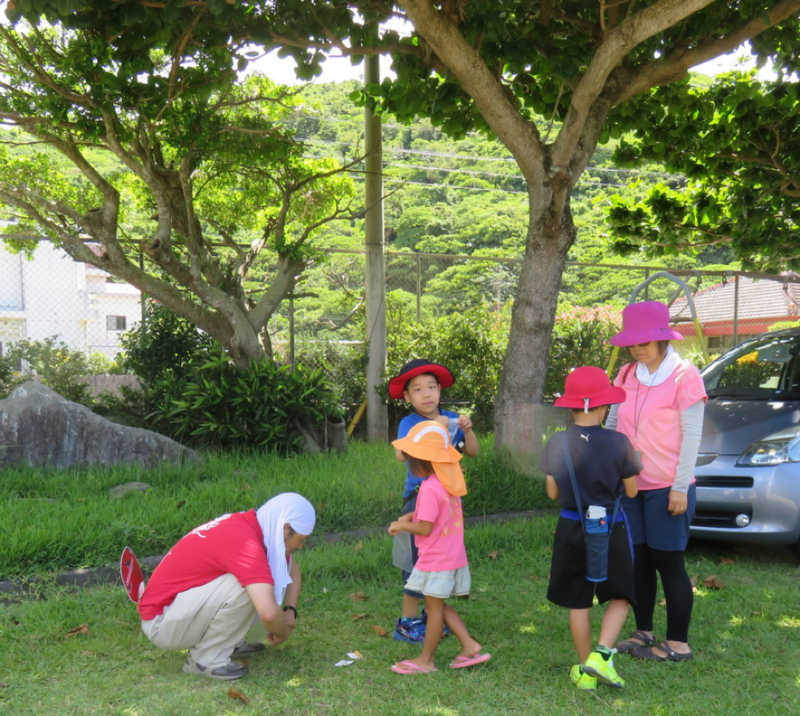 Although it was a hot afternoon, both kids and adults searched curiously for the ants, discovering ant nests and observing the baits that they had placed. Participants then examined the collected ants under a magnifying glass and identified them by using the taxonomic key to figure out which ones lived among humans. 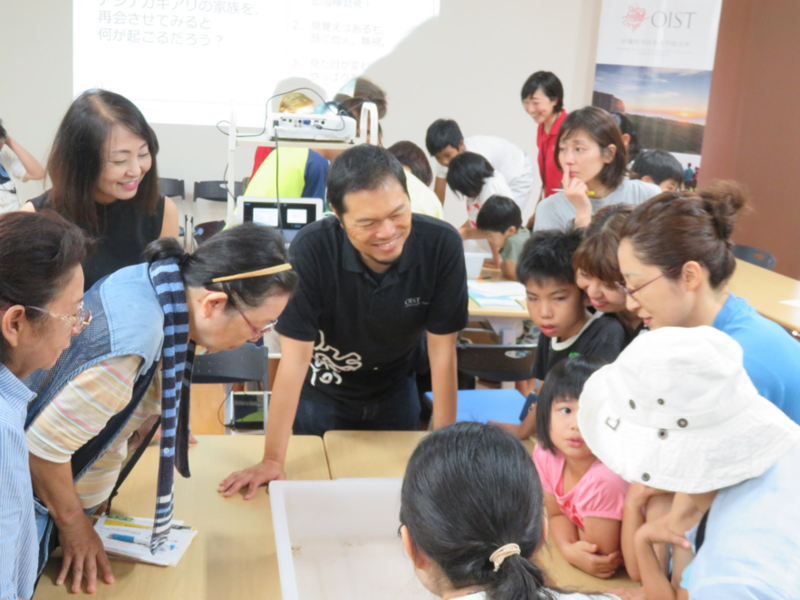 Thanks to these various summer events, the OKEON team was able to enjoy the nature in Okinawa with the local community.